cooker and cook for 3 whistles. chana dal, urad dal and cumin seeds and let them splutter. water and combine. Cover with a lid and cook for 5 – 6 minutes. The dal should have been very refreshing with the lemon flavor.. Thick dal looks super comforting. Looks delicious and healthy..love to eat with hot rice. you have a lovely blog here….really good collection of recipes! 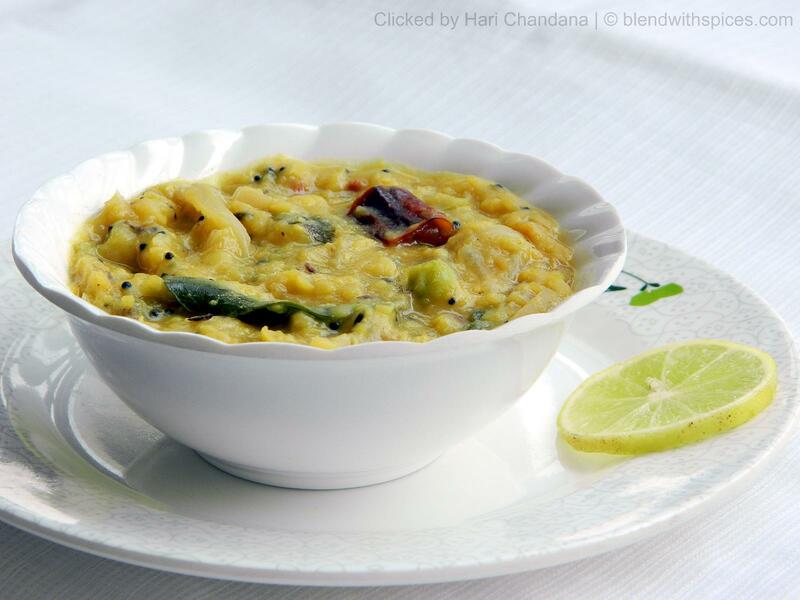 I love tangy dal….this looks delicious!